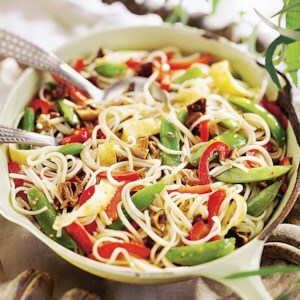 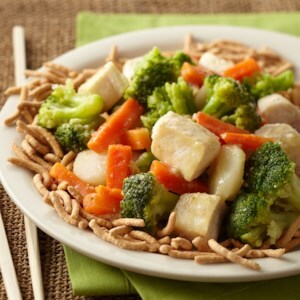 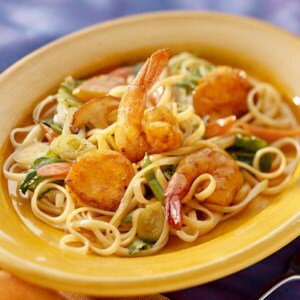 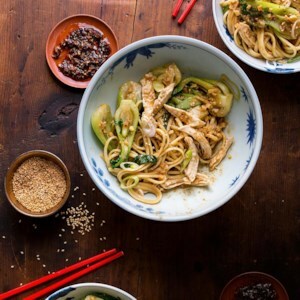 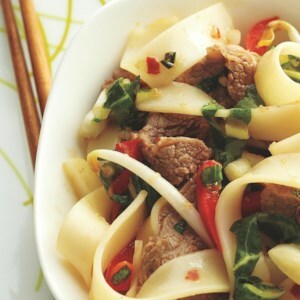 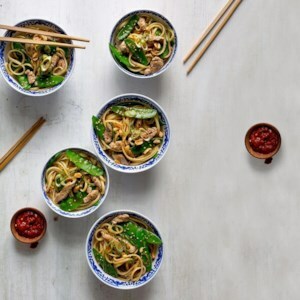 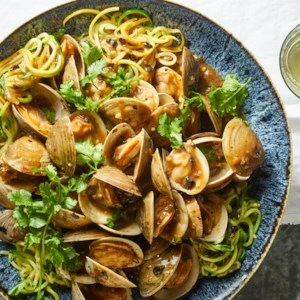 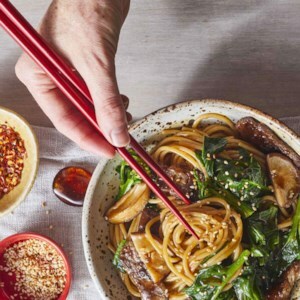 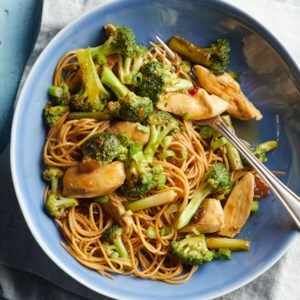 Find healthy, delicious noodle stir fry recipes, from the food and nutrition experts at EatingWell. 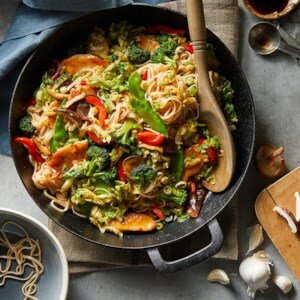 Jam-packed with a colorful medley of vegetables, this classic noodle dish relies on a bold sesame-soy sauce to tie all the flavors and textures together. 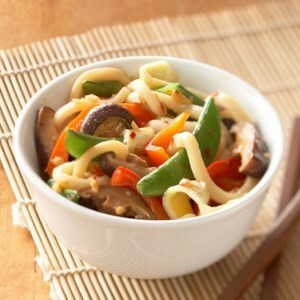 Udon noodles are usually sold in the Asian food section of the supermarket. 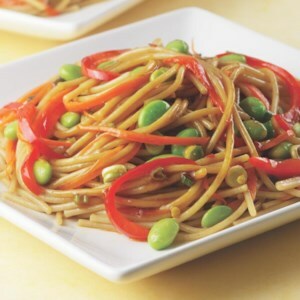 If unavailable, substitute spaghetti or linguine in this vegetable lo mein recipe. 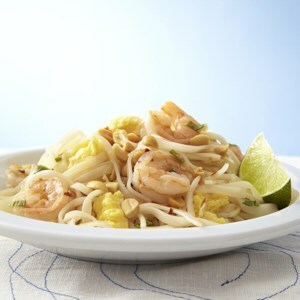 This healthy pad thai recipe has less than half the calories and sodium of the traditional Thai-restaurant favorite. 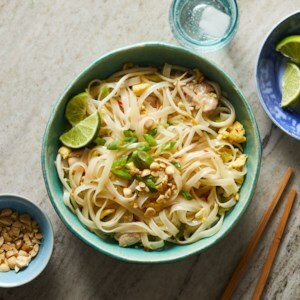 Look for dried wide rice noodles, sometimes called “Pad Thai noodles” or “straight-cut,” in the Asian-food section at most supermarkets and natural-foods stores. 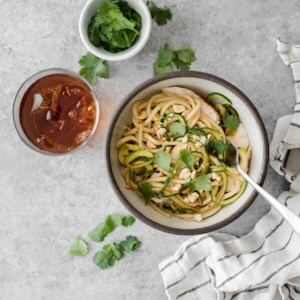 Serve with sliced cucumbers with a rice vinegar and cilantro vinaigrette. 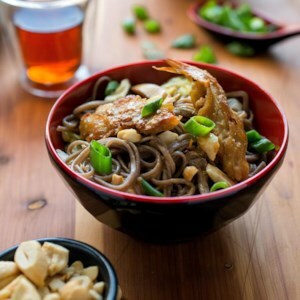 In this Asian dan dan peanut noodle recipe, Chinese black vinegar lends authentic flavor to the creamy sauce. 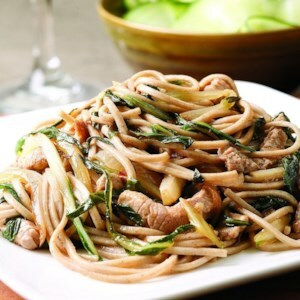 If you can't find baby bok choy, use about 1 pound of mature bok choy sliced into 1- to 2-inch strips. 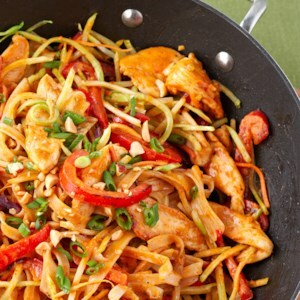 Serve with your favorite hot sauce, such as sriracha, if desired. 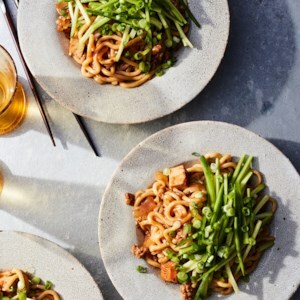 In this Asian dan dan noodle recipe, lean pork loin and snow peas are stir-fried and tossed with a chile-soy sauce. 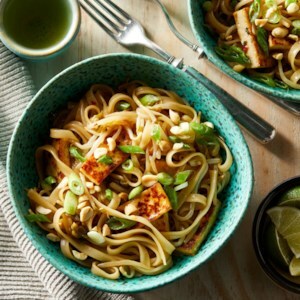 Topped with peanuts and sesame seeds, this Chinese noodle recipe is a healthy, homemade alternative to takeout.